Want to know where a large group stands on an issue?? We know of no better way to quickly engage a large conference than the instant feedback that can be gained from a wireless audience response system. Simultaneous, anonymous responses can be captured and displayed to simple questions and statements. 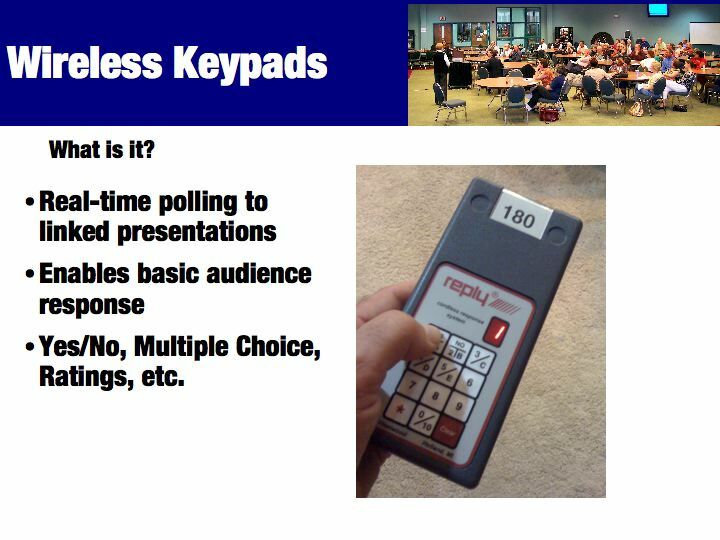 This enables a speaker get immediate feedback to pre-scripted questions, propositions and statements. This is a powerful addition to any team discussion enabling rapid identification of issues and positions with high levels of common team understanding and support. We often use them for real-time plenary group feedback on subgroup summaries, clarification discussion and identification of potential consensus positions.